If you don't already have a personalised RSS homepage, RIGHT-click on the orange RSS button which can be found on the top right side of this page or bottom left side of any page. Then copy-and-paste the URL of this site's RSS feed into your RSS reader. Our knee symptoms guide helps you work out the cause of your knee pain. Typical knee pain symptoms include popping, burning pain, problems on stairs or bending. Continue reading "Knee Symptoms: Causes, Diagnosis & Treatment - Knee Pain Explained"
A pulled calf muscle causes sudden pain in the back of the lower leg. 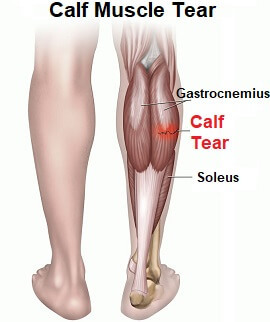 Learn about the causes, symptoms, diagnosis and treatment options of a calf muscle tear. Continue reading "Pulled Calf Muscle: Causes, Symptoms & Treatment - Knee Pain Explained"
Burning knee pain may indicate a knee injury, overuse, inflammation or a serious medical condition. Learn about common causes of knee burning and treatment. 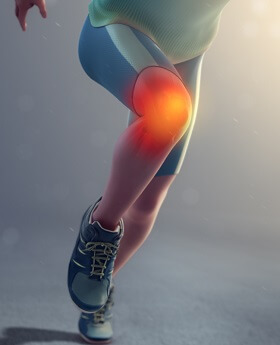 Continue reading "Burning Knee Pain: Causes, Symptoms & Treatment - Knee Pain Explained"
Continue reading "Gout Knee: Causes, Symptoms & Treatment - Knee Pain Explained"
A stiff knee causes pain and affects function. Knee stiffness may be due to an injury or knee condition. Learn about stiff knee pain and how to treat it. Continue reading "Stiff Knee Pain: Causes & Treatment - Knee Pain Explained"
Knee locking is when the knee gets stuck and can't move. Learn about the different causes and treatment options for a truly locked knee and pseudo knee locking. 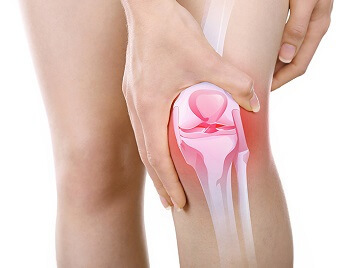 Continue reading "Knee Locking Up: Causes and Treatment - Knee Pain Explained"
Knee pain and popping is a common problem, particularly when kneeling or squatting. Learn about common causes of knee popping with pain and how to treat them. 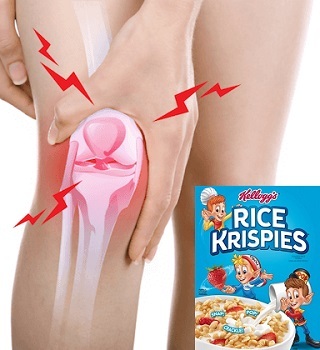 Continue reading "Knee Pain and Popping / Clicking - Knee Pain Explained"
A swollen knee can be really painful and restrict knee movement. Find out about the causes, symptoms and treatment for knee swelling aka water on the knee. Continue reading "Swollen Knee: Causes, Diagnosis & Treatment - Knee Pain Explained"
Continue reading "Calf Muscle Pain: Causes & Treatment - Knee Pain Explained"
Knee Replacement Recovery Time - Guide to how long it takes to recover from surgery, when you can return to activities & how to get the best from your new knee. Continue reading "Knee Replacement Recovery Time Guide - Knee Pain Explained"
Lateral knee pain is a common problem, particularly in runners. Here we look at the common causes of pain on outside of the knee and how to treat them. Continue reading "Lateral Knee Pain: Pain On Outside Of Knee - Knee Pain Explained"
Continue reading "Severe Knee Pain: Causes & Treatment - Knee Pain Explained"
Our knee pain diagnosis chart helps you to work out what is causing your knee pain. All the tools you need to make a knee pain self diagnosis. Continue reading "Knee Pain Diagnosis Chart - Knee Pain Explained"
Medial Knee Pain is a common problem with knee conditions and injuries. Learn about the common causes of inner knee pain and how to treat them. Continue reading "Medial Knee Pain - Common Causes of Inner Knee Pain"
Loads of great knee strengthening exercises to help you beat knee pain. Suitable for runners, after injury, with osteoarthritis and most other knee problems. Continue reading "Top Knee Strengthening Exercises for Knee Pain, Injuries & Arthritis"
Dr Ashley Miller MBChB FRCA FFICM is on the Knee Pain Explained medical review board, part of Wilson Health Ltd. He is a Consultant Intensivist in the UK. Continue reading "Medical Review Board: Dr Ashley Miller - Knee Pain Explained"
I have developed eczema on sites of magnets in knee straps. Will magnets still work if I put micro tape on site before placing strap? Continue reading "Rash From Magnetic Knee Brace - Knee Pain Explained"
I have early patella osteoarthritis and one leg is a bit longer. 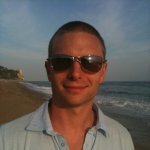 I just developed locking knee in my left leg...what do you suggest? Continue reading "Knee Locking & Early Arthritis - Knee Pain Explained"
I've seen a number of doctors but no one could find a cure for my front knee join pain and irritation. I feel pain whenever I bend my knee. What should I do? Continue reading "Ongoing Front Knee Pain - Knee Pain Explained"
I had double total knee replacements in March 2017. This site is the first time I have found comprehensive information on the knee which explains how it works. Continue reading "Recovering From A Double Knee Replacement - Knee Pain Explained"
I've had a bad reaction to a knee injection. Since the injection, my equilibrium has been right out and my heart rate and blood pressure have been very high. Continue reading "Bad Reactions to Knee Injections - Knee Pain Explained"
I have a knee injury from falling down stairs. The knee is swollen, stiff and makes a strange ticking noise. What exercises should I do? Continue reading "Knee Injury Falling Down Stairs - Knee Pain Explained"
I have arthritis on front of my right knee. Please can you advise about sports I can do considering I have mild tricompartmental degenerative changes. Continue reading "What Sports Can I Do With Knee Arthritis? - Knee Pain Explained"
I have torn my knee cartilage twice now. Doctors always told me not to run, but I took it up in my 30's and it has been life altering. What can I do? Continue reading "How Do I Run With A Knee Cartilage Injury? - Knee Pain Explained"
I had a Total Knee Replacement followed by MUA as the knee would not bend. I’ve followed the exercises but still have stiffness and pain. My Gp has told me to use a walking aid as I have a limp. Is this it for me or is there still room for improvement after 18 months? Continue reading "Problems After TKR and MUA - Knee Pain Explained"
I had a severe fall at my work resulting in a knee injury. Immediately, I had a softball-size knot on the inside of my knee. I can't stand on it and I need any advice that I can get! Continue reading "Knee Injury At Work - What Do I Do? - Knee Pain Explained"
I have an ongoing knee injury. I hurt my knee a year and a half ago training. I have been doing exercises for my injured knee for 3 months, but am not seeing much improvement. Is there anything else I can do? Continue reading "Ongoing Knee Injury: What Should I Do? 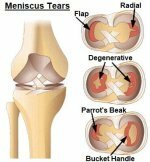 - Knee Pain Explained"
I had right knee ACL & Meniscal surgery in November. Recently I’ve been suffering some heaviness, swelling & instability in knee. Please advise what to do. Continue reading "Pain After ACL Knee Surgery - Knee Pain Explained"
I have osteoarthritis in my knee. Lately, there has been knee swelling on the inside of my leg. Is this serious? Continue reading "Is Swelling Normal With Knee Arthritis? - Knee Pain Explained"
I'm doing well with the advanced exercises and my knee pain is gone! I don't want it to come back. Can you describe a regular "maintenance" exercise plan? Should I just continue with the advanced exercises? Continue reading "Maintenance Plan For Knee Exercises - Knee Pain Explained"